CLICK HERE to download the full HTLC Process. 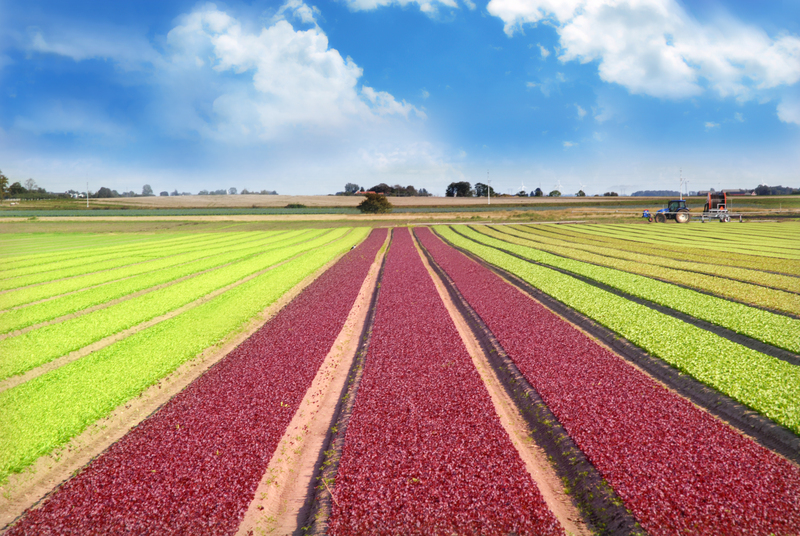 The High Temperature Liquid Composting (HTLC®) process is an extremely efficient, state-of-the-art, in-vessel biological system which rapidly converts organic matter (including fish byproducts, vegetable and plant wastes, meat wastes, etc.) into high quality, manure free liquid organic fertilizer products. Although similar in principal, the differences between liquid composting (HTLC®) and solid composting (windrow, static pile, etc.) are significant. Within solids composting, the core of the windrow heats up due to the microbial breakdown of the surrounding organic matter. The temperature at the center of the windrow, in addition to the digestive environment, pasteurizes the compost such that disease organisms are destroyed. Conversely, the outer shell of the windrow remains much cooler, at or near ambient temperatures, and therefore must be turned into the center for adequate high temperature processing. The thermal gradient, which is substantial for solids composting, does not exist in the liquid composting process – that is, the high temperature is equally distributed throughout the media. This and the improved digestion within the liquid composting process, reduces the treatment time for pasteurization while increasing the systems efficiency and reliability. The HTLC® process is a proven biological treatment system developed by a multi-disciplinary team of scientists more than 30 years ago. This process utilizes naturally occurring, high-temperature bacteria (thermophiles) to digest and pasteurize all biodegradable organic wastes. In this process the heat released by the developing microflora drives the temperature as high as 195oF (90oC). The high temperatures within the system, in conjunction with the digestive environment, rapidly eliminate all the major plant, animal and human diseases. A one hour exposure at 140oF (60oC), in a moist environment, is effective in destroying bacteria responsible for cholera, typhoid fever, bacillary dysentery, brucellosis, E. coli, salmonellosis, etc. For instance, Salmonella is destroyed so quickly that these bacteria cannot be found in the system after only minutes of treatment. In Table 1: Thermal Death Points of Some Common Pathogens and Parasites (see below) it shows that the HTLC® process (>131oF/550C) eliminates all pathogens harmful to plants, animals and humans within 60 minutes. Reference. Golucke, C.G. and Harold B. Gotaas, 1954. Public Health Aspects of Waste Disposal by Composting, American Journal of Public Health, vol. 44, p 345. 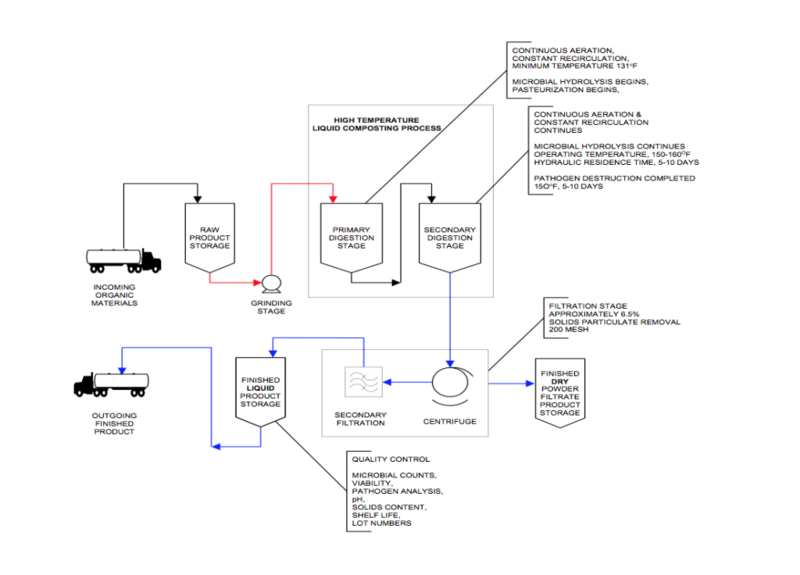 As outlined in Figure 1 – HTLC® Process Flow Diagram, the input material (plant matter, food processing, seafood, etc.) is first transferred into a receiving vessel where it is macerated into a fine liquid suspension. 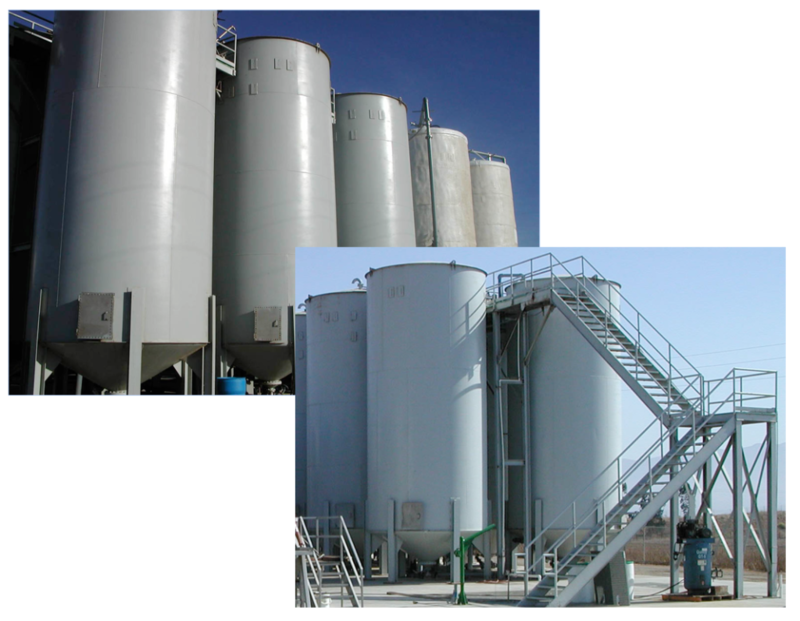 The slurry is then metered into the first stage of the HTLC® system where it is continuously mixed and highly aerated. The liquid slurry undergoes an aerobic microbial digestion process whereby high-temperature bacteria (thermophiles or “heat-loving bacteria”) digest and pasteurize the contents without the use of chemicals or other additives. These ubiquitous organisms (naturally occurring in the environment) originate from the raw organic input materials and are similar to those found in compost. In this controlled environment, the heat released by the growing microflora can drive the temperatures over 195°F (90°C). The process is continuously monitored by a sophisticated automation system during all stages of processing. After a predetermined time-temperature benchmark, the material is pumped into the second stage process vessel. Here, the hydrolysis of the material continues and all pathogenic microorganisms are destroyed. This stage guarantees complete pathogen destruction and the level of digestion to significantly improve the nutrient availability to the plants. It also guarantees no cross contamination with the raw inputs as the raw materials are only added to the primary digester. Handling of the materials in the ‘raw materials zone’ and the ‘finished product zone’ are separated so that, unlike solids composting or pelletizing of raw inputs, there is no cross-contamination with equipment used for raw inputs handling. After a total residence time of 5 – 10 days (120 – 240 hours), with temperatures over 150oF (65°C), the inputs are converted into a stabilized and fully pasteurized fertilizer product guaranteed to be pathogen free (for comparison, milk is pasteurized at 70°C for 30 sec). The product is then filtered and transferred to the third and final stage, assigned a lot number and offloaded into tanker trucks for bulk shipments. Digestion is up to ten times faster over conventional composting methods. No cross contamination with unprocessed input materials. Operation is independent of seasonal temperature variations. Compliance with stringent food safety standards. Process conditions exceed standards set for pasteurization of milk and other food products. In vessel system guarantees full pasteurization and removes the liability to growers, unlike poor composting techniques or manure pelleting systems. Continuous temperature logging to ensure batch quality and complete pasteurization. Process is designed to guarantee product is free of all harmful pathogens. For more information please contact your local representative or call us at (877) 675-8600.